"1 year with dokku as a platform for staging and internal services"
It has nice plugin system with a huge number of plugins for daily use: Postgres, Maria DB, Mongo, Redis everything works out of box. Just like heroku, it really simple to deploy with single 'git push', all things happens magically. It's not easy to monitor states of current containers, all management only possible through command line. Web gui is used only for initial setup, although it will be nice to have web interface for whole management. Because plugins are supported by community, some of them often out of date, for some tasks (for example postgres db) there are several plugins and it's hard to choose best one. We searched for simple and fast way to build enviroment on test, development and staging servers. It really take 15 minutes to setup machine from scratch using dokku. Dokku is good solution for internal services, which not require to host high loads. Our main application use some microservices, which are ok to be not very reliable. For example geo IP resolver. It hosted with dokku. "Not ready for prime time"
When dokku actually works it's good. The plugin system seems promising. Unfortunately it doesn't work out of the box in a lot of cases - even incredibly typical use cases like installing on vanilla Amazon EC2 instances. Sadly the team seem a bit too keen to blame user error and less keen on investigating or acting on bug reports before closing them (regarding installation, setup and removal) so there are plenty of duplicate bug reports about it not working with the same types of errors that don't end in any actual changes to dokku. The debug option rarely seems to help and it's missing simple sanity checks which make it fragile software even when run on a clean installation of a specific version of a specific distribution. It's supposed to make it easier to deploy software. I have realised it's not worth the pain and effort because it's no less buggy than it was a year ago and it's just a time sink; even when it works upgrades are painful. "Easy installation, same usage as Heroku, feature rich, complete solution." Plugin system of Dokku is awesome. I often find it hard to create backing services like databases within a few command. But Dokku's plugin system solved that problem very well. E.g. postgresql plugin has very meaningful default for security, connections and etc. That help a ton when you trying to provision a complete server. Nothing to dislike. It's doing what it says to do. Notice I haven't tried to use Dokku in a multiserver setup. I think it should work, but I expect additional work on top of Dokku, which will reduce its value. You might want to look for more robust deployment tool for multiple server environment. I was trying to find a hosting solution for my hobby projects. While I could use a Heroku free tier, but it's still costly if I want high availability for a simple hobby project. I want to spend minimum time fighting with the infrastructure and focusing on the fun part. Dokku is a perfect alternative for this. It also have very good Docker support, which extends its use case even further. Although it's kinda a hack to use its Docker integration, but haven't that document and available has a lot of potential. Easy of installation, universality of concepts, great plugin ecosystem. Very responsible maintainers, strong community and good stability. It has the more common tools to catch good programmers, I mean almost any modern language and database can be used with this. Also, expanded with additional plugins, which makes it a lot more than a runtime and database container..
Great UX and can be used on low cost hardware quickly to get the job done. It can be used remotely withput SSH-ing into the server, which is something very handy once you get used to it. I really like the workflow of git-push, using the tools we already know. Altough some initiatives were ongoing to make a all-in-one package, it ended up failing, with a missing maintainer. And that's something quite inherent to Dokku; it has to be separate components from separate people and sometimes different communities. That's something I dislike but I gladly accept. The somewhat weird mechanism to add keys from stdin. Would love to automate it. Buy a remote server. Not just the ones you have lying around and using for internal ops. It will happen that you get so used to it that you may be tempted to release on it. Continuous delivery, product iteration and innovation. Empowering teams to try new things and see them live in seconds, without fuss and using the tools they already know with the exact git-flow. One branch for release, other for dev and also some others for experiments. "One of the easiest-to-use self-hosted PaaS out there"
Dokku's slogan is «Docker powered mini-Heroku». It is true: to everybody who knows Heroku, Dokku will be an easy transition. There's one difference though: Dokku runs on your own server. This is possible because of Docker, a lightweight container system. One container, one app; it's that easy. To those who aren't used to the Heroku workflow, it's not hard: you just add a bit of configuration to your repository (just a bit: a Procfile, which defines what command to run to start your application, and a requirements file — this one depends on the language your app is written in), then push it to your Dokku server, and it gets built automatically. Magic! Apparently there is nothing I dislike about Dokku at the moment! The architecture is a bit odd, but this won't get in your way unless you'll want to mess with plugins, and if you do, you'll get used to it right away. In our company, we use Dokku as a staging server for our projects. It is really easy to use: we just git-push our sources onto a server and everything is built automatically. "Amazing piece of software, use it all the time for personal deployments! AMAZING!" I love dokku's simplicity. Dokku allows you to get a simple server up and running in no time, do some configuration and start testing your code! Just the speed and simplicity of Dokku means everything to me. Unfortunately, Dokku is not multi user. Who has the time to setup Flynn or Deis? So it would have been AMAZING if it were multi user. Especially in a team environment when you want to give specific people access to specific repos, manual work is too hard! Very good for single developer or small teams. Fast code deployment and very minimum setup. If you want are not interested in spending hours and hours of work just to setup a development server then Dokku is the best for you! For our mobile app we are creating, we are able to quickly push change to our API into development servers and use those for testing while the real one remains untouched. The git push allows for a simple and efficient way to upload code and get testing much quicker! Business and development becomes efficient and very quick this way! "Dokku - A tricky alternative to Heroku"
Dokku was fairly easy to get into despite my lack of experience in setting up servers let alone a PaaS. The documentation is fairly clear for the initial setup and for basic functionality. Dokku being free is by far it's biggest selling point but it seemed to be very well made and compatible with a lot of different setups. Deployment was also very similar to Heroku, which is to say it was very simple and painless(although not without issue). The downsides to Dokku largely come down to it's status as an open source project that is not supported by an army of devs. When I was attempting to deploy a simple test rails app I ran into issues and was unable to find a way to troubleshoot effectively. When I tried deploying a different rails app it seemed to work perfectly fine despite almost identical settings. Overall Dokku seems like a promising and ambitious project but there seem to be quirks that established solutions like Heroku have worked out long ago. I would recommend trying Dokku if you are using it for a small hobby app or similar. I would not recommend using Dokku for any serious mission-critical apps unless you have experts on hand to monkey-patch issues as they come up. I was attempting to use Dokku to set up a Heroku-like droplet on DigitalOcean to host a small app that helps my gaming group plan events, manage members, track attendance, and communicate via. forums. I was using the $7 tier on Heroku to host this but wanted to switch because I was about to hit the 10k limit of the free-tier of Heroku's Postgres service. Unfortunately I was unable to successfully set this app up using Dokku and have since collected donations to simply pay for Heroku. I look forward to trying Dokku again when the bugs get sorted out since a free PaaS is a very attractive option for these sorts of small apps that generate zero profit. "Great PaaS for those that feel comfortable configuring it"
What I like the most about dokku is the similarity with the heroku workflow. I usually start my python and nodejs projects on Heroku free plan and after a while some of them need a migration to a bigger service. Since using Heroku is not always possible, Dokku is great at that point because it allows me to only change my git endpoint. Aligned to some build and deploy automation tools this process is transparent to most developers working in the project. The initial configuration is sometimes painful for bigger project as it requires a new server most times. At least in my experience, sharing the server with other tools running alongside dokku is not great. This problem is greatly minimized by using Digital Ocean and other cloud providers that offer servers with a working dokku image, but then again, for a small budget having a server only for build control is not always possible. It is a great tool but it works best if you feel comfortable with server administration to better configure it. On the projects that I have worked that uses dokku, the business problem varies as it is more common in third-party companies that build software on-demand. The main benefit is the small overhead on deployments and the minimum dedication required to create a working build flow. Instead of reinventing from scratch (there are an infinite number of ways to deploy code) and forcing our devs to learn yet another method of deployment and configuration, Dokku relies on Heroku's buildpacks and Heroku's approach to deployments. This means we get all the benefits of an open source, well-document deployment methodology and platform but keep control over our servers. Dokku moves forward as the Heroku community does and everyone benefits. Dokku also enforces a number of good best-practices, such as: each deploy is new container, deploying from a repo, preventing on-the-box changes to live code, and running zero-state containers. In most cases, the built-in nginx and SSL configurations Just Work and it's pretty easy to tweak things when they don't. It's all just bash under the hood. There's also a rich plugin system which is used for core components so you know it's reasonable and well-tested. Oh, and the Let's Encrypt plugin is awesome! Secures your website in 5 seconds. Dokku (and Docker) are still in early development and move very quickly. This means there are occasionally some rough edges but bugs are generally fixed promptly (and they welcome pull requests). We run about 40 microsites in a variety of languages across a handful of servers with a very small team (3 people). We needed a deployment platform that was easy to learn, consistent across languages and simple to run. We wanted to adhere to best-practices without having to develop internal ops capacity. Dokku ensures our deployments are consistent and simple. Our setup requires almost no maintenance or deep knowledge of Dokku. Often new team members are familiar with Heroku so Dokku is easy to learn and they're up and running quickly. Our local development environments are simple because they follow the same best practices for each language that Heroku & Dokku follow. "Dokku replaced our Heroku deployments for a fraction of the price." I have always loved the push to deploy solution from Heroku, but the moment you start adding serious databases, Redis or Memcached cache, logging, etc. the invoices skyrocket. 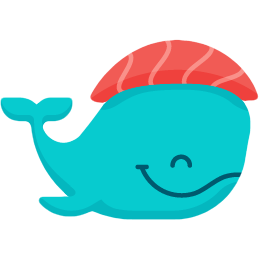 Meet Dokku, a mini-Heroku built on top of Docker. With Dokku, your application will be a Docker container, and it will be linked with other containers (databases, cache,...) much like in Heroku. Choose the cloud provider of your choice (DigitalOcean in our case, where you can create a Dokku droplet directly, ready out-of-the-box), and you have a powerful solution, at a much more reasonable price than with Heroku. Migration from Heroku is straightforward, and you might only need to adjust some configuration parameters. Dokku uses Herokuish, so basically it understands Heroku buildpacks. Push to deploy works the same (Heroku is faster building the new images, but hey, it will also depend in the machine you install Dokku onto). Nothing so far. I would like to see more references in Dokku's documentation to Docker, to better understand how the Dokku applications and plugins talk to each other. If you feel confortable with Ubuntu servers, Dokku is a great alternative for small and medium sized projects. Basically I needed a cheaper alternative to Heroku, but with the same (main) functionality. "Used it to, oh really, deploy services I'd normally deploy to heroku"
I still feel like I don't know what happens when I'm, for example, setting up mysql or postgres (or you name it). Is there another container running for each database? Will it share the process? Is the database accessible from outside? There must be answers somewhere, I know, but I found them either too hard to find, or I was just not concerned enough to look that much. "Dokku: excellent for prototyping, not great for production"
Dokku is extremely easy to get started with. It's basically a self-hosted heroku and you need very little dev-ops experience to get your apps up and running. Great for small developer teams who want to focus less on infrastructure and more on business logic. You will hit a scalability wall with dokku at some point if your project continues growing. It does not (nor does it claim to) scale well across multiple hosts. Be aware of the product's limitations. Dokku is awesome for prototyping web applications and cheaply hosting personal projects. However, if you need high-availability or horizontal scaling, dokku will not meet your needs because it does not scale across hosts. There are a few projects out there that attempt to bridge this gap (see Deis, Flynn, etc.) but as of this writing I haven't seen anything stable enough/suitable for production deployments. We have a small team of developers, none of whom have extensive experience in dev-ops or infrastructure tooling. With dokku, we were able to achieve fast deployment cycles without significant investment in dev-ops processes or tools. "Fast to get started, easy to manage, amazing capabilities"
Super easy to deploy applications, customize, and manage. It's the perfect solution for deploying smaller applications managing configurations when you don't want to go for a full blown docker setup. I love how easy it is to spin up a new application and get everything put together. To get a whole staging site together it takes roughly 50 seconds of work. Spin up a new one, initialize a new mariadb database, and load my database dump file in through stdin. Coming from using a plain VPS where there was a setup requirement it's a breath of fresh air to be able to get something live with no complications. Would be nice if there was a built-in database backup method. Maybe S3 backed nightly/weekly/monthly/yearly or something? Where it keeps 7 days of backups for nightly, then 4 weekly backups for the last month, then 12 monthly backups for the year, then 1 backup for each year after that? Only real "complaint" even though it'd be fixable via a plugin or something probably. I love using Dokku to deploy staging sites for clients to view. It gives it an extremely professional feel when I have yourbusinessapp.staging.mysite.com and have received compliments on how well executed it is as opposed to the traditional IP Address only staging sites. Best part is no DNS propagation time! "Better than Heroku for a growing startup!" I absolutely love how easy it is to use Dokku. It does an amazing job at streamlining the deployment process with minimum headaches. Also, since services like Digital Ocean use "One-Click" deployments it's so easy to create a Dokku instance. In my opinion Dokku should be the goto option for bootstrapped startups. It is by far the best, cheapest, and most performant option there is. There could be some better documentation around the various commands you can run via the command line. Also it would be nice to have better information on DB add-ons such as MySQL. But overall, I would say I am extremely impressed with Dokku. Make sure to heavily read the docs and if you are using Heroku or something equivalent already, try using Dokku on a staging environment. Cost control, ease of deployment, etc... One of our biggest problems is deployment speed. "Awesome tool to work on small projects & prototypes with an open sourced PaaS"
Painless installation with out of the box 'herokuish' buildpacks and easy plugin use. At the same time Dockerfile deployments give enough flexibility to power users for building more complex systems. The lack of scalability to take a small prototype or persona project into a large scale service. This is mainly because of the vertical scalability restriction (no horizontal scalability), but I'm sure it can still perform nicely with a proper (big) droplet/instance deployment on any cloud service provider. Use for small projects and prototyping since it will make life easier, avoid production deployments on serious projects since it still is a work in progress and won't be production ready for a while. My own personal website served in a VPS, with the possibility to host & easily deploy unrelated personal projects in parallel on the same VPS. "It really helps us to improve our deploy process." It is worthy to get the same environment as production. It helps to continuous integration. Dokku is well documented, easy to understand, easy to make plugins, really good support from community, irc channel, issues, etc. All days has commits and PR merged on github repo. I think it is really complete. Maybe, it should be easier to debug the running app. For example, if I want to debug my app on staging environment, I have to stop the process so container is stopped, too. In order to solve this trouble, we use supervisor plugin to stop process without stop container. But this is not something I dislike, it perhaps is something I am making wrong. It improved continuous integration and it gave us order on our develop, test and deploy process. "Dokku is a great start"
Dokku works on the same concept as heroku. If you've ever used heroku then it's quite simple to get into the workflow of dokku. Dokku also takes out a lot of the manual work when launching a new app in docker, with all the plugins that are available it makes creating database credentials a breeze for instance. RIght now it's single host, though they're working on swarm support. The default idea is that the app is built on the dokku server (though you can change that by using a static buildpack, where you pre-compile locally). I don't like the idea of not knowing exactly what you deployed. You don't need to spend time figuring out how to deploy your software, dokku takes care of that in a simple fashion. What I like about dokku is the concept of having a fully featured, pluggable system to both develop and publish your application. My only real gripe with dokku is the lack of the admin interface for quickly accessible monitoring or even a default index for a list of apps currently deployed to the server. However this a minor Quality of Life feature. "A good docker build platform and deployment platform for standard web apps"
Its usage of using git and heroku's buildpacks make it simple to deploy standard, small applications. Because it's structure is fairly straight forward to tweak within a standard server configuration. When considering your 6 month roadmap, consider transitioning its usage from your complete deployment platform to a docker build platform that can push images to something more sophisticated. The business problem is not having to worry about configuring a deployment script for fairly standard MVP applications. And, you can extend the platform fairly easily, so you can get use it reliably in the V1 version of your product. "Brilliant software, room for improvement"
I like the ability to easily maintain multiple web services on the same server. Especially with the automatic deployment through SSH, it is the perfect way to have the features of Heroku without the high cost. When I first started using Dokku, the learning curve was a little steep. Now, since the project has matured a little bit, it is a little better. The project is still young, though, and some large codebase changes still occur and can cause problems if you don't keep going over the documentation. Before using Dokku, I had several servers running my various small web apps. Now, I am able to run everything on a single server, with integration making it very easy to run automatic deployments through my CI. It is somewhat opinionated about how it should be used, which makes it so that it does one thing really well. Works as an excellent drop-in for Heroku, especially if you don't have any special needs and just want something that will work easily and is free. If you attempt to not follow the pattern exactly, you'll be fighting the entire time, although that is more of a limitation of Docker, but that would follow through to Dokku too. As well, if you attempt to use an "unsupported" platform you'll have a difficult time. Normal Ubuntu tools won't be of a help, and if you aren't thinking in the Docker mindset then things like the filesystem will be difficult to grasp. Know what you're getting into - read up on Docker and maintaining the entire infrastructure. The biggest stumbling block was what to do when a server restarted and the containers were suddenly gone. Deploying multiple small web applications. It is very easy, and definitely enforces the idea that everything needs to be in git, and config in environment variables. This becomes difficult when you have to diagnose a problem with the production environment, as you'll end up with a lot of those small git commits. "Awesome tool. Really got me focused into what I am supposed to." I really like that it simplifies the whole process of continuous deployment. For us developers who really want to focus on coding and creating apps instead of configuring different set of tools Dokku gives us the power to deliver and show changes to customers faster. Might be still a little immature for every kind of project I guess as it hasn't got to its 1.0.0 version. Still don't know if I would use it as my main tool to build scalable apps. Use it if you want to experiment and/or show prototypes faster. Think twice if you want to use it for production scalable apps. Continuous delivery to be able to show prototypes and fixes to customers. "A simple, self-hosted alternative to Heroku"
Dokku's best feature is by far the simplicity of setup. All you need is a virtual machine with root access and you can be up and running in minutes - no complicated networking, clustering, or disk formatting - just run the install script and follow the basic setup instructions. Dokku has an extensive collection of plugins, however as the project is still in flux a lot, plugins need to stay up to date in order to work properly. Dokku allows for us to easily run hosting environment with minimal configuration - we can just do a "git push" and our app will be running. This accelerates deployment of anything from small, one-weekend projects to full production apps. "Dokku for personal and professional projects"
My favorite thing about dokku is how inexpensively it simplifies application deployment. There are a lot of services out there that market themselves as "effortless deployment" services, most notably Heroku and AWS Elastic Beanstalk. These services work great, but they are often very expensive -- especially when you want to scale. Dokku offers most of the features of these more expensive services at the bare-bones cost of hosting your servers. The price is hard to beat. I can't say that there's much I dislike about dokku, especially since the software is open-sourced and free. It's hard to complain about charity! But the one thing I would say I'd like to see but don't is an officially supported and local CLI (command line interface), like what Heroku has. This is admittedly a very small complaint, since dokku has a very nice CLI that's usable when you have SSHed into the server running dokku. Before installing it yourself, try out one of the pre-provisioned dokku images from Digital Ocean. It's super easy to use, and will give you a good sense of what the system is like at virtually no risk. Some problems I have used dokku to solve: (1) Quickly and cheaply deploying the infastructure for a multi-million dollar integration-as-a-service application requiring zero-downtime. The full system consisted in 2 Rails apps, and 4 Sinatra apps. Dokku allowed me to quickly deploy all of these systems on the same server, without compromising resources. (2) Deploying my own personal projects, or contract projects that had a shoestring budget and didn't require anything fancy by way of server infrastructure. "As easy as Heroku for simple applications. " It's so easy! When Heroku killed their free teir I needed a replacement. This solved my problem for simple apps while I worked on them. You just git push and the application is live on the web. This works great for simple applications, but if you need a database you'll need to use plugins. These require a little more configuration than Heroku. While working on a new idea or project, it's nice to have free hosting for it. You can spin up as many apps as I want for $5 dollars a month (Digital Ocean) and they'll always be ready. You don't have to worry about your application being down because you ran out of free dyno minutes. "Powerful and very easy to use. " Deploying a web application by *pushing* its associated git repository master branch is very convenient and feels so natural. I knew Heroku users could do this and always envied them for this reason alone! Using Heroku for all my projects have been a no-go for me because of the cost. Dokku offers a similar platform for free! I can install it on a cloud platform such as DigitalOcean, which is very affordable for freelancers or small development teams. Thanks to Docker, which Dokku is based on, your app(s) lived inside isolated *containers* which give you the portability of a virtual machine, but lighter and with less overhead. Another great thing with Dokku is the plugin system. You want Postgresql database support? Just install a plugin using the Dokku built-in command: dokku plugins:install plugin-git-url. Dokku 0.5+ also allows you to run pre-deploy and post-deploy commands using an app.json manifest (as Heroku users can do). This mean, for example, that you can run database migrations automatically on deploy, which you couldn't do before 0.5. I also like the facts that Dokku uses the same buildpacks as Heroku. Honestly, there is nothing I dislike about Dokku at the moment. Before version 0.5, there was the fact that I had to run my Rails database migrations manually once the application is deployed, which was quite inconvenient. But now that it is fixed, I'm happy. If you go the Dokku route, keep in mind that your server will have to be administered using mostly Dokku commands... not standard Linux/Unix commands. For example, to check the log files of your application, you don't "cd" to the app directory and check the logs there. Well, you *could*, but you would have a hard time trying to find where your running application is located exactly. Instead, if you want to check your application logs, you use a command like this "Dokku logs myapp". Same thing applies for configuring vhosts, environment variables, etc. Also, if you don't agree with the "twelve factor app" mindset (http://12factor.net/), you might be disappointed. With Dokku, I am way more productive in my workflow. This piece of software is perfect to run on a cloud platform such as DigitalOcean. I can isolate each project/client on its own Dokku-ready "droplet" instead of having them all configured on one or more dedicated servers. I personally use Dokku for Ruby On Rails applications and let me tell you it is a pretty good match. I have written a tutorial on my blog to help people getting start with Rails and Dokku (http://www.rubyfleebie.com/how-to-use-dokku-on-digitalocean-and-deploy-rails-applications-like-a-pro/). "Great DIY PaaS built on top of Docker"
It easy every easy to use and get started. The documentation is great and the contributors are very responsible and happy to help. It supports a variety of Cloud providers and their step-by-step instructions will guide you through those. Their chat rooms (IRC and Slack) will also help you get over any hurdles and find other people with on the same boat. It wasn't exactly fitting my use case, which at the moment we only have 4 Wordpress websites and we don't spin up or down very often. Also, I was hoping to do database version control, but I later understood that problem needs to be solved higher the stack, not at the filesystem level. It would be great that a low-level solution like Docker or powered by docker allows Application developers to sync databases locally and remotely. Fully merge and do conflict resolution. Something like git for databases, but I suppose that needs to know a lot about the individual application operations and database commands. Very simple deployment process once it's set up. Allows me to focus on other aspect of the development process. It also opens up my options for deployment solution. Had an experience where the source was down and I couldn't clone it. I also can't find any resources on how to change the domain name or etc after the initial set up. There needs to be a documentation for that ideally with screenshots. Deployment of web application. It streamlined the process, I do not have to do it manually. Lessen the possibility of errors. "I've used it for home infrastructure deployments"
Ease if deploying applications with required connected services like DBs or plugins such as Let's Encrypt for automatically securing my applications. Would like to more easily cluster deployments but that seems to go against the whole keeping it small thing. Cheaper than paying for heroku if you don't see yourself scaling far and don't have the money for a cloud provider. Not really solving a business problem per se so much as wanting a hassle free setup for deploying applications on my home infrastructure for myself that was as easy as mod_php and apache but for node.js, scala, ruby, and others. It's great for rapid application development! I use it for testing/deploying my code quickly since I only need to push my code for it to work. Unfortunately Heroku is out of my budget currently but Dokku is the next best thing for me. Personally I'm still a little wary of using something like Dokku in a production application -- not sure how how secure it is. The main business problem being solved is reducing the amount of time spent on code deployment. Dokku makes it super easy to just push my git code to the server and immediately see it working without any further effort on my part. It's also super helpful in a small team environment where we don't have any dedicated devops people. "Great choice to manage your site in production!" Dokku is very easy to setup because it works as a Single Host PaaS. Once installed you can host multiple sites with all different architectures. It doesn't scale to multiple hosts. However, in that cases i can use Deis that is inspired on Dokku. I'm working on a startup and we don't have a sysadmin to control our infrastructure. Dokku saved us a lot of time configuring our devlelopment and production servers, saving us from the high cost of Heroku. "Dokku proved a great substitute to Heroku for small apps"
It allowed me to have a private cloud setup similar to Heroku, without worrying about "sleep" time or paying unnecessary fees. When I first used Dokku there were some errors in the build I used, but I was able to find documentation from others who ran into the same issues and those errors have since been addressed. If you're looking for a (private) push to deploy option, Dokku is a great alternative to Heroku. I was able to stage apps that were pending client approval for less than $10/month on Digital Ocean. It was reliable (and it's possible to be up and running within 10 minutes) and allowed me to deploy apps the way I was already doing for production apps on Heroku. "Dokku is great PaaS for developers and for enterprise prototyping"
The newest versions work out of the box when you follow the directions. The error reporting isn't great as it could be. You have to dig a little deep if something goes wrong. I'm running many apps (RoR, Node, Go) all on one box. It helps save on hosting costs. "Run your own Dokku PaaS"
The freedom of running all the apps on my own hardware. It's very good for testing. It's also very easy to understand and simple to read the source code. I disliked the thing they require Ubuntu Linux distribution instead of specifying exactly what are the requirements. It's important to first understand the stateless web-app deployment. Running heroku-like applications locally, testing the changes in deployment. "I used a digital ocean droplet to manage apps for my side projects." I like that it lets you quickly and easily set up a deployment environment you can git push to. I disliked the interface for linking things like database containers to my main container. I also disliked the lack of any quick graphical interface ala the now defunct dokku-alt. If you want to run a bunch of small projects on a cloud server, dokku can help you easily cut costs while still following best practices. I was solving my need for a quick and easy to use deployment environment without paying piles of money for multiple heroku instances. "Dokku help you to deploy what you code "
I was using heroku for my pet projects, however it gets a bit expensice if have a couple of them. I got used to git based deployments and with dokku I can now host a couple of projects on one vps. Adding plugins was a bit cumbersome. I got used to it after some time though. I don't have to pay for a couple of heroku apps every month now. My pet projects were getting expensive and now I can have as many of them as I want for the fraction of the price. "Great for quick demos and small projects." So easy to use and set up, while giving you a full paas. Obviously code is getting more complex since the initial bash script(s), so it is a bit more difficult to hack by yourself. Try it out, the demo is really simple to set up. "Dokku makes it easy to setup Heroku-like environment." Deploying our product the Heroku way is hassle-free. Setting up an app is easy. I'd like to see more tutorial with pictures. This will not only help me but also when new members join the team, I can just show them the tutorial instead of telling them by myself. Dokku is fast setup. Don't hesitate to give it a try! We create financial models online. We need to update our service several times a day. The ease of deployment is really helpful. "A Good PaaS for deploy your APPs"
It's beta yet, and this makes me a little uncomfortable to use it. I would like to have the option to configure some commands to run after deploy automatically. "I used Dokku to test a development enviroment, it was awesome but there are some things." It is awesome how you can have a PaaS in 60 seconds with Dokku, it is legendary. I could not make it work with Docker Swar and I think this need to be impemented. Implement a cluster based on Docker Swarm. Just software development and infrastructure. "Very Easy to Use for Heroku type Deployment"
Dokku makes it pretty easy to deploy and update heroku type sites. You can update the site with a simple git push. There were some corner cases I encountered in the early Dokku releases. I am not sure if those have been fixed. If you want to do any advanced server stuff it may not be worth it. Dokku was great for getting quick demos up. It made it very easy to share proof of concept work. The ease of giving deploy. This greatly facilitated my life. Até o momento não encontrei problems with Dooku. I felt I lost a lot of time to climb an application to the production server and Dokku solved it. there is a lot of documentation to read. would like more samples and integration guides. Dokku is extremely easy to setup and to use. It's also much cheaper than heroes. Dokku can be hard to master, I think that there should be more documentation detailing the advanced features. Continuous deployment is awesome when it works and when it doesn't break the bank. That's the problems Dokku solves for me. Dokku is a very initiative product. I like it because It allows you to control your own PAAS. I think it could be easier to use and deploy. One-click installations are always nice. This product is great for people who need a PAAS but already have the infrastructure in place. "Process looked fairly easy but not what we were looking for"
I liked the idea of being able to deploy via git. I disliked that all applications need to be run on the dokku server. Our deployment process is fairly manual when setting up new servers. It's been designed with a small set of simple use cases and implemented with simplicity in mind. It just works, and works well. The development team tends to break the backward compatibility pretty often. I needed to deliver a small PaaS that had to be developer-friendly and could be handled by a team of junior Linux sysadmins. Thanks to the Docker engine, we could make an efficient use of our resources. * We monitor all Dokku reviews to prevent fraudulent reviews and keep review quality high. We do not post reviews by company employees or direct competitors. Validated reviews require the user to submit a screenshot of the product containing their user ID, in order to verify a user is an actual user of the product. Hi there! Are you looking to implement a solution like Dokku?